Cargonomia is a low-tech logistic center providing solutions for the transport of goods, in particular healthy and locally produced food in Budapest. It is also a place to try out, rent and/or buy several types of cargobikes to solve your own transport needs. Cargonomia is a collection hub and distribution point for locally produced and organic food provided by partners. It aids in connecting producers to consumers directly by offering a community space for picking up goods while also making direct deliveries with the ease of cargo bike. 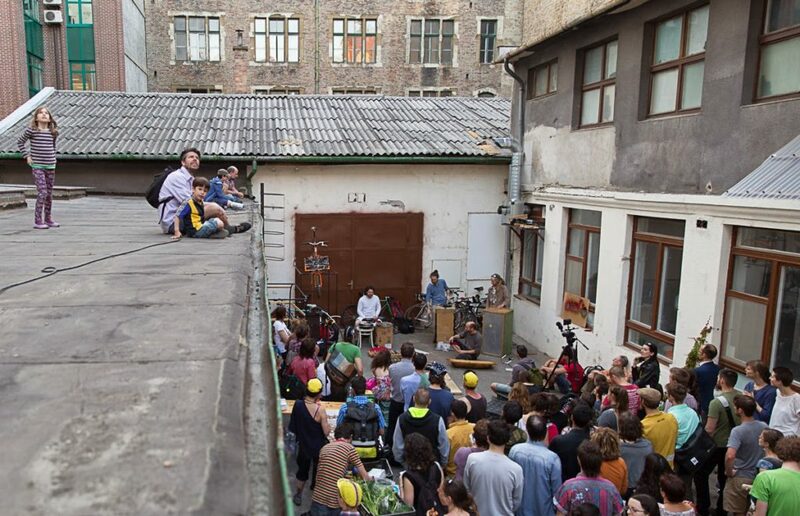 Cargonomia is an open space for community activities dealing with sustainability, transition and Degrowth. We host DiY and skill building workshops, discussions and also convivial and cultural events. Cargonomia also seeks to be an incubator which can enable synergies between new and currently existing social and environmental projects.